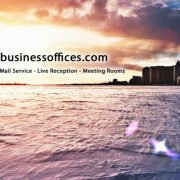 That is where a service like Virtual Business Offices comes in: You get an address on Bay Street, a professional phone answering service, physical mail collection and forwarding, and many other perks. https://www.virtualbusinessoffices.com/wp-content/uploads/2018/08/Sep_page_01.jpg 1100 850 RostieMarketing http://www.virtualbusinessoffices.com/wp-content/uploads/2018/05/vbo_header-300x300.jpg RostieMarketing2018-09-13 17:42:442018-09-13 17:42:44The August/September Scoop is Out! 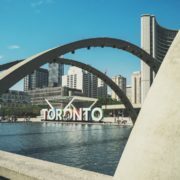 When you are planning where you want your virtual business address, the first question you need to ask yourself is ‘Which City do I want it to be in?’ There are so many choices, but one of the places you should really consider is Toronto. 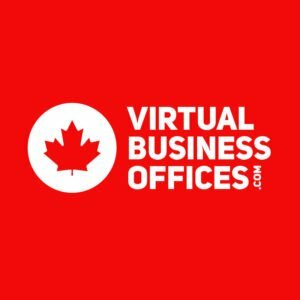 Virtual Business Offices offers addresses from the heart of the downtown core, on 20 Bay Street. Toronto is a vibrant and multicultural city, hosting a variety of different business types in different sectors. 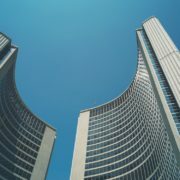 With companies like Amazon and Sidewalk Labs interested in developing in Toronto, things are changing quickly, making Toronto one of the cities of the future. Toronto is the fourth-largest city in Canada/U.S. With Mexico City, New York City and Los Angeles coming in as the top 3 largest cities in North America, Toronto is often forgotten about. A global survey of more than 14,000 respondents from 195 countries and territories by InternNations finds Canada a top location for expats. Having your Virtual business address in Toronto gives you access to this ever-growing job market. So when you are deciding what address you should choose to make the most impact and where your business will stand out the most, keep Toronto in mind. And let Virtual Business Offices be the ones that introduce you to our great city. After Hours Answering Service: Never lose a customer again! 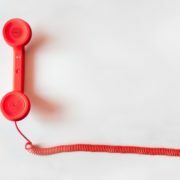 Do you own or run a business and receive after-hours calls from clients – or potential clients, but have no one on hand to answer them? An after-hours answering service may just be the thing that you need! We know that phone calls are a vital part of your business. They help you gain and retain customers, help you provide your services and is a necessary contact point for you. But what happens if someone has a question, issue or wants to sign up for your services outside regular office hours? They would normally be sent to a voicemail box where they may be lost or forgotten about, asked to call back during regular office hours, or would be put through to an automated service without ever speaking to someone. With an After Hours Answering Service, this will not happen again. You will now have a live service answering customer inquiries 24/7 365 days a year. You will have a live person speaking to all of your clients – or potential clients- on all of your calls no matter what time of day or year it is. Whether you need someone to transfer calls in an urgent situation or to direct calls for technical support, there is a fully trained representative ready to provide your new After Hours Answering Service. Representatives will answer your calls with care and in a number of different languages to ensure that all of your callers’ needs are met. You’ll want to make sure that all of your calls are answered, and treated as the most important thing going on at the moment. Don’t have a machine tell someone that “their call matters”. SHOW them that it matters by actually picking up the phone in a timely manner. Forget worrying about losing a client because they had a query out of hours. Choose an After Hours Answering Service and never lose a customer again. Sign up with Virtual Business Offices to gain access to these services and many more. https://www.virtualbusinessoffices.com/wp-content/uploads/2018/07/cable-call-communication-33999.jpg 667 1000 RostieMarketing http://www.virtualbusinessoffices.com/wp-content/uploads/2018/05/vbo_header-300x300.jpg RostieMarketing2018-07-13 20:43:552018-07-13 20:43:55After Hours Answering Service: Never lose a customer again! When evaluating your business, you may decide that there is no need for telephone answering services. You work hard to please your customers, and to gather new leads. They know what your business is about, and know that calling outside of normal business hours will have them disrupting your personal time. Or well, do they know this? It is inevitable that you will run into some issue. A disgruntled customer, a client who doesn’t respect normal working hours, maybe even new leads from other timezones. Taking a message through an automated system may sound like the answer, but in general, people don’t like talking to machines. Here is the deal; You need to have a telephone answering service. Trained staff that are able to take details down, to give information out, direct clients and customers to you, and be a filter for the calls that you don’t need to receive. Nothing is more annoying when expecting an important call, to instead continuously receive spam calls. A telephone answering service could act as the gatekeeper to make sure you don’t receive these. Furthermore, these services are often 24 hour a day affairs, meaning that you can be sure you are receiving calls day and night, and not wasting your lead generation efforts. Your callers will appreciate the value of being able to call anytime, and have someone pick up the phone to talk to them. And you’ll be able to rest easy, knowing that those callers are being taken care of. In the mobile age, people are accustomed to being able to seek information – and answers – at any time, day or night. And if you are not able to get them that information, then they will move on the next closest competitor, who will. If you are interested in a telephone answering service, then Virtual Business Offices is the deal for professional service, with 24/7 voicemail. And we even provide voice to email messaging so you can quickly catch up on all your calls. Imagine for a moment that you’ve just set up your new Virtual Office in Toronto. You have your mail being sent to a Toronto address, receiving checks from your client in a city that is known for being one of the largest financial centers in the world. Having your phone calls answered by professional staff, making every customer feel like they are important. This is not only beneficial to your business as your customers see it, but also your clients and partners. All the stakeholders involved in your business want to see you succeed, and there is no better way to see that than having an Office located in a city like Toronto. Further, this allows you to travel. To know that when you’re on a plane heading to the next big meeting, your calls are being answered, your mail collected, your packages delivered, and your information being kept safe will give you the confidence you need to walk into that meeting room, shake the hands of the world’s most prominent business leaders, and count yourself amongst them. The best thing about this, is that it doesn’t just have to be in your imagination. Getting that Virtual Office and all of the features that come with it is not only doable, but possible right now. At Virtual Business Offices, we can provide you with a Bay Street Address. Not only is it located in Toronto, but Bay Street is internationally recognized as a Financial Center. 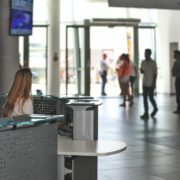 Our trained reception staff will be more than happy to receive all your calls and pass along the necessary information. You can get your own personal voicemail account, Fax services, courier, and much, much more. Not to mention, if you need a space to work in for a few hours, or need a space to meet with your new clients, the same reasons that you got your Virtual Office in Toronto are the same you’ll want to come down and use one of our spaces. 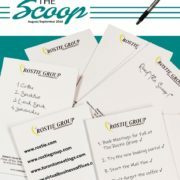 So take a look at our available packages and make the best of your business. 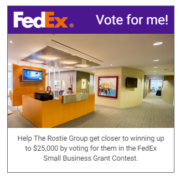 FedEx has rolled out a contest to help Small Businesses win $25,000 to improve their services and The Rostie Group has entered! If you click on the form below, you’ll be able to cast your vote for us. If we win, we will directly be able to improve our services for you! It’s win-win! Make sure to share by clicking the links below! https://www.virtualbusinessoffices.com/wp-content/uploads/2018/04/FedEx-badge.png 325 328 RostieMarketing http://www.virtualbusinessoffices.com/wp-content/uploads/2018/05/vbo_header-300x300.jpg RostieMarketing2018-04-24 13:55:262018-04-24 13:55:26Vote for Us! Your commute is bad for your health. A bold statement but a true one at that. Many researchers have discovered that a long commute to work each day can lead to higher blood pressure, anxiety, body aches, and even depression. With infrastructure expanding and populations growing, the average commuter is seeing even more delay on their daily routes to and from work. With more and more employers introducing work-from-home strategies, a shift has presented itself where companies are now aware of the detriments that come with a stress-filled commute and how it can potentially make employees less productive. Having a virtual office brings all the administrative aspects of day-to-day operations into one convenient package and allows businesses, big and small, to focus on what really matters; building ideas and bringing them to life. Still not convinced? 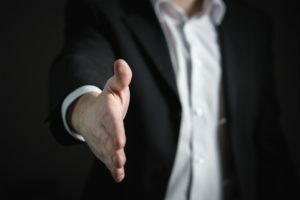 Having a virtual office does not disconnect you from traditional business services. Having an address at the heart of a business core can give a company immediate recognition and credibility when it comes to presenting their brand to prospective clients and potentially having a global presence. 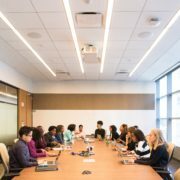 Having access to a business center that provides executive-style amenities, state of the art meeting rooms and coworking space can help propel a company even faster. 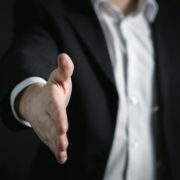 virtualbusinessoffices.com provides convenient, customizable packages that will provide business solutions to help you focus on bringing your company to the next level. Explore it today. Maybe you’re a virtual office away from growing a successful business.